Sli is the son of Houdini and Trix. 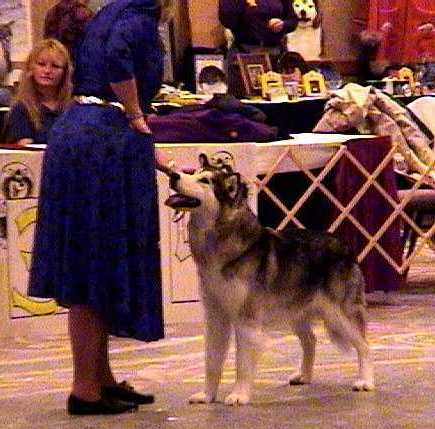 He did well in the show ring and loved to sled with our grandchildren. Sli’s name – Sleight of Hand is the name of a set of techniques used by magicians. Have you heard the phrase – “The hand is quicker than the eye?”. That’s Sleight of Hand.